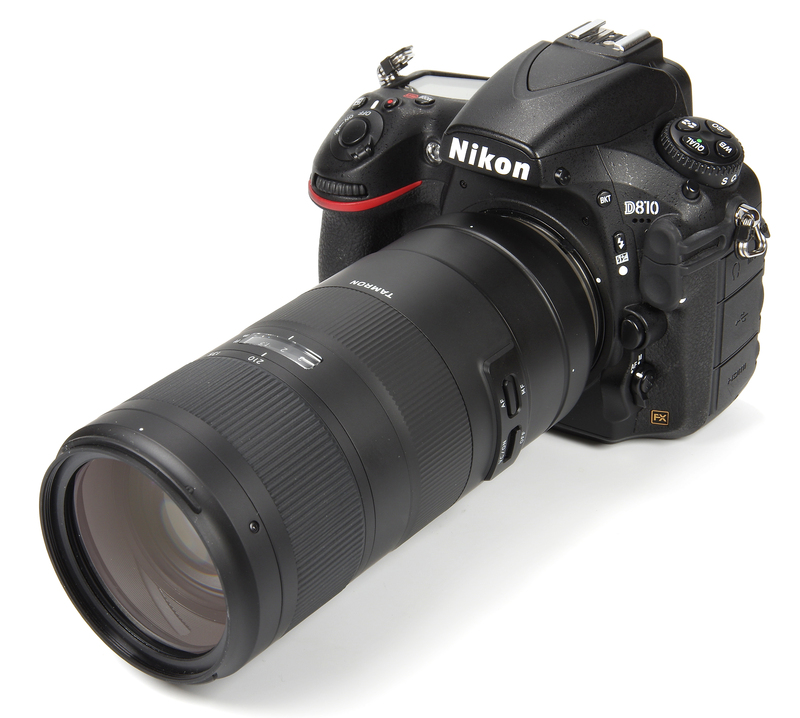 Weighing in at a relatively modest 850g (Nikon) or 860g (Canon) the lens feels light and compact for its focal length range. It is a full frame optic, although obviously it can just as well be used on an APS-C body, where the “35mm equivalent” range will be 105-315mm (Nikon) or 112-336mm (Canon). A generously sized and effective petal lens hood is provided and this bayonets cleanly onto the lens. Within this outer bayonet we find a 67mm filter thread. Behind this, as we take our tour towards the lens mount, is the zoom ring, which is smooth in operation, operates evenly, being just firm enough to prevent accidental focal length changes. There are clear markings at 70, 100, 135 and 210mm. Zooming is internal and does not change the lens length and hence also keeps the balance of the lens. Next up, a small plastic window reveals the distance scale, marked in feet and metres. Focusing is down to 0.95m (37.4 inches), giving a maximum magnification of 0.32x, or 1:3.1. This is usefully close, enabling for example fine close ups of flowers. The manual focusing ring also operates internally and has the same even feel of the zoom ring. The mechanism is a full time manual focus system, so tweaks can be made to the AF position at any time. The AF is driven by a USD (Ultrasonic Silent Drive) ring type motor and it is snappy and accurate. The only other lens controls are the two switches, one for selecting AF/MF and the other for switching the VC (Vibration Control) system on and off. Here we find the only slight operational glitch in that if we are supporting the lens underneath with the left hand it is possible to nudge either one of the switches. If the switches were slightly firmer in operation this could be avoided, but being aware of the possibility it can generally be avoided. It's not a deal breaker by any means, but just a small detail to watch. Optical construction is 20 elements in 14 groups, three of which are LD (Low Dispersion). There is a fluorine coating on the front element to repel dust and moisture, and the lens itself has a moisture resistant construction. There are 9 aperture blades which should help to enhance the bokeh of the lens. There is no tripod mount supplied, but mount A0334TM is available as an optional extra. Throughout the review period it never felt that such a mount was necessary as the lens is relatively light in its class. It is compatible with two teleconverters, the TC-X14 (1.4x) and the TC-X20 (2x) as well as the TAP-in Console. This latter item makes updating the lens firmware and adjusting the AF possible. 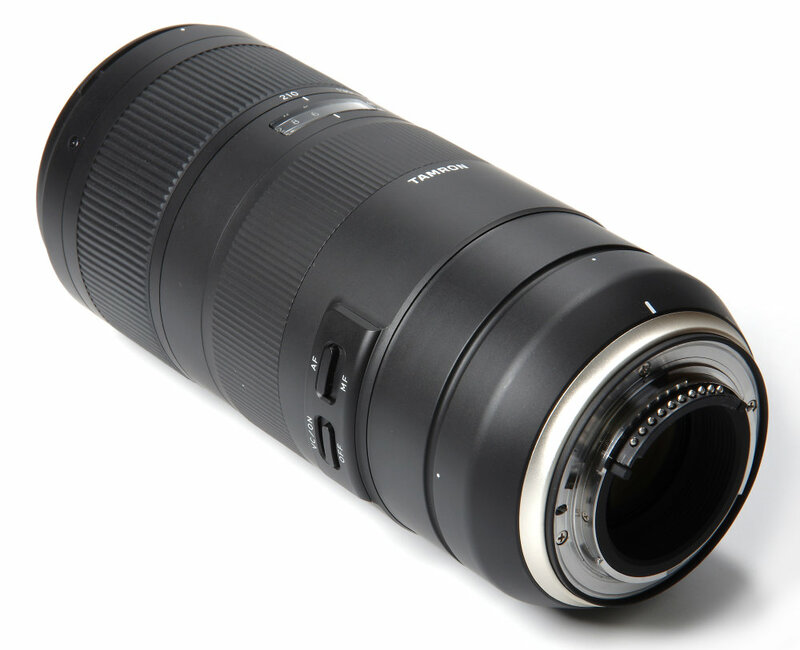 Overall construction seems excellent, and Tamron do offer a 5 year guarantee. There are some lenses that gel from the outset, and in terms of handling on the D810 this one is a sheer delight. The reduction in bulk and weight is very welcome and the range is extremely useful. Let's see how the technical tests worked out.